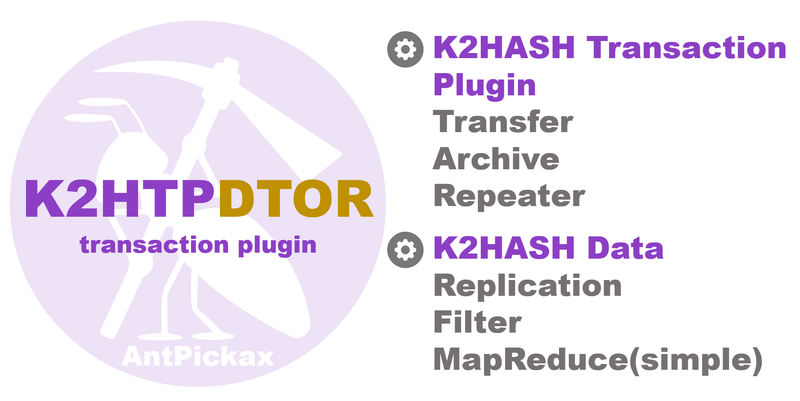 K2HTPDTOR (K2Hash Transaction Plugin Distributed Transaction Of Repeater) is a standard transaction plug-in compatible with the transaction plug-in provided in the K2HASH library. K2HTPDTOR is one of AntPickax’s open source product by Yahoo! JAPAN. Overview about K2HTPDTOR library and components. The explanation of the detailed Details of K2HTPDTOR library and components. How to use K2HTPDTOR library and components for your program. How to build K2HTPDTOR library and components from source code on Github. AntPickax is product group that is provided as open source by Yahoo! JAPAN. Please see the AntPickax details page.